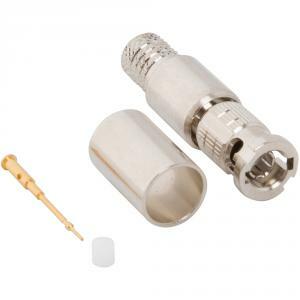 Amphenol RF releases new 12G SDI adapters and cable-mount connectors designed ideal for broadcast applications. DANBURY, CONNECTICUT, UNITED STATES, January 11, 2019 /EINPresswire.com/ -- Amphenol RF is pleased to introduce the latest expansion of our 12G product line designed specifically for 4K/Ultra-HD broadcast applications. This expansion features additional adapter configurations and cable mount connectors for Canare L-5.5CUHD and Belden 4694P, 4731R, and 4731P cables. The most recent additions to our 12G adapter line includes both in-series and between-series configurations: BNC plug to BNC plug, HD-BNC Jack to HD-BNC Jack and HD-BNC Plug to HD-BNC Plug. 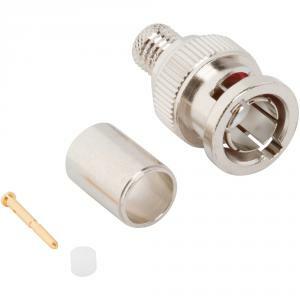 Each adapter operates at 75 ohm with a maximum frequency of 18 GHz. 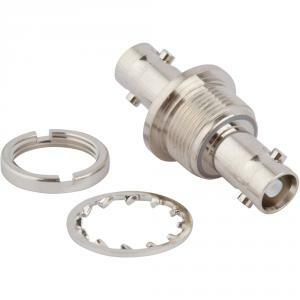 These adapters are precision machined with brass bodies and gold plated brass or beryllium copper contacts.